The success of some of New Zealand's finest young scholars was celebrated at the annual International Baccalaureate (IB) Diploma Top Scholars' Awards Ceremony held at Government House, Auckland. The event was hosted by Their Excellencies, The Governor-General of New Zealand, The Rt Hon Dame Patsy Reddy and Sir David Gascoigne. Two students have achieved a perfect mark for 2016, Tina (Yan) Zhang from Kristin School and Michaela (Soo) Jeong from Auckland International College are to be applauded for achieving a perfect score of 45 points! A dedicated, independent student, Tina has always been committed to achievement at the highest level. She has received Kristin excellence awards for premier badminton and for service to the orchestra as a violinist. 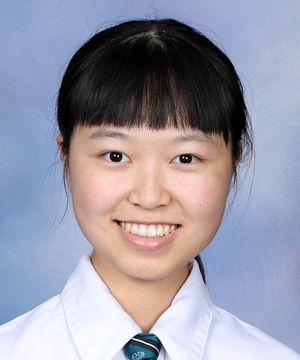 Tina has represented Kristin and New Zealand at an international future problem solving competition and, in 2015, in addition to being awarded the Overall Academic Excellence award for Year 12, she attained NZQA scholarships in English, Statistics and Calculus and was named Top Scholar in scholarship Geography and Classics. Whilst taking her IB exams this year, Tina also completed scholarship exams in a further 8 subjects and is currently awaiting the results. She has been offered a place to read physics at The University of Oxford but is keen to consider forthcoming offers from US universities before making her decision. Aucklander, Michaela Jeong, was involved in a range of creative and service activities at Auckland International College, such as Model United Nations, Biology Interests and Concerns club, Korean School volunteer, Origami club leader and flautist. 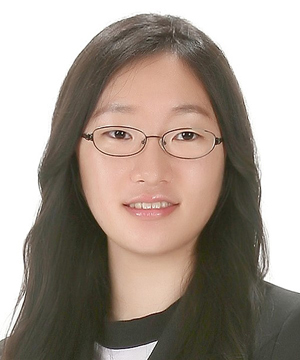 She received an impressive number of university offers from the University of Tokyo, Imperial College of London, University College of London, Edinburgh University, New York University, the University of Michigan, the University of California and the University of Toronto. She chose to accept the offer from the University of Tokyo where she was awarded a full scholarship to study Environmental Sciences in their international programme. Soo Young (Michaela) Jeong (45), Amy Xingqi Mitchell Chen (43), Liujia Chen (43), Grace Lee (43), Miles Yee-Cheng Lee (43), Cong Quoc Bao Nguyen (43), Thi Van Hanh Nguyen (43), Xintong Zhang (43), Catherine Chen (42), Tony Fan (42), Haiyin Wang (42), Si Jie Ge (41), Xi Qin (41), Jiayin Sun (41), Yizhou Cao (40), Zifei Lin (40), Zhongjun Luo (40), Ngoc Quyen Pham (40). Daniela Sowter (42), Antonia Feng (40), Lys Meurillon (40). Jerry Chen (43), Luke Nie (41), Louis Jennings (40). Yan Tian (Tina) Zhang (45), Hyeongjin Kim (44), Charles Law (44), Sophia You (44), Jung Woo Bae (43), Katja Brand (43), Toby Ellis (43), Declan Marshall (43), Rachel Park (43), Yilan Sun (43), Jessica Tucker (43), Vincent Wu (43), Nitika Govind (42), Samantha (Sam) Taveras (42), Liwei (Sherman) Xie (42), Iain Campbell (40), Jennifer Gu (40), Rocky Jiang (40), Alexander Kiechle-Cornish (40), Sohee Kwon (40), Nadia Meyer (40), Nicholas Miehlbradt (40), Maite Rojas McKenzie (40), Chenyang Zhao (40). Charlotte Hollywood (41), Shweta Iyer (40). Kevin Shen (43), Lanlie Zheng (42), Haswell (Has) Brooke (41), James Hansen (40), Cameron Low (40), Henry Mellsop (40), Jong Yun (John) Won (40). Keyi Yin (44), Lioru Kelly Luo (43), Gargi Bansal (42), Melissa Wenxin Wang (42), Ruoqing Eveline Wang (42), Vivian Qiu (40), Tessa Wylie (40). Grace Sullivan (40), Madeleine Tilley (40). Rebecca Goodman (43), Emilie Hughes (41), Simran Saini (41), Kevin Liu (40). Zuhan (Mica) Hou (41), Ziling (Linda) Lu (41). The New Zealand IB Diploma Top Scholars' Awards Ceremony has been made possible thanks to the support of Fuji Xerox Co. Ltd.